Essentially a screwdriver gussied up with an indulgent splash of Galliano, the Harvey Wallbanger is definitely the cocktail of Christmases past for me. My parents always made Harvey Wallbangers during the holiday season. 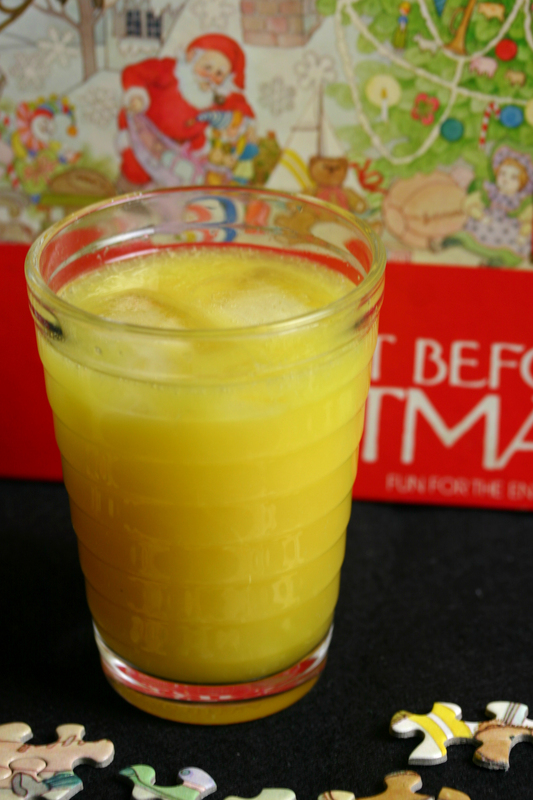 They probably made them year-round – the Harvey Wallbanger was a happening drink in the 1970s – but in my memory they are associated with our annual Christmas carol singing party. I can remember wondering about the name of this cocktail, which sounded adult and fun and slightly dangerous. Easy to make, easier to drink, they can definitely sneak up on you, but they haven’t had me banging into any walls as yet. I’d intended to garnish my Harvey Wallbangers with fresh orange slices, but was in too much of a hurry to get back to my Christmas puzzle. Add a measure of vodka to a tumbler. Fill the rest of the glass with orange juice and add ice. Over the back of a teaspoon, gently pour a dash of Galliano to flavour the drink.